Cord Blood Stem Cell vs Embryonic Stem Cell | Cordblood banking – Secrets of stem cell technology revealed! Cord Blood Awareness Month is celebrated every July. Every couple out there, newlyweds or not, should have the right to be properly informed either to stored their newborn’s umbilical cord or donate it in public cord banks. However, the biggest problem until now is – this simple process of collecting stem cells embraces various misconceptions and controversies. Some people who are not well-informed about this procedure think it is unethical and some mistakenly associate it with embryonic stem cell. The cord blood stem cells are entirely different from embryonic stem cells. In cord blood, you only use the stem cell found in baby’s umbilical cord. When a baby is delivered, the doctor removes his umbilical cord and placenta. 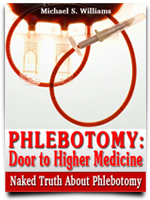 Instead of throwing it away, the blood (which contains stem cells) inside the cord and placenta is squeeze out using a syringe and store in a fridge. 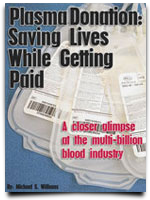 Collecting cord blood is a safe procedure and it will not hurt the mother or the baby. In fact, this procedure is performed because scientists confirmed the younger the cells, the bigger the possibilities of curing fatal diseases such as cancer, heart diseases, Parkinson’s, spinal injury, etc. While in embryonic stem cell, its collection process is complicated. It’s considered unethical because it requires you to kill a life. The nucleus of the embryo cell is removed, transferred to a human egg and results to cloned embryo. The cloned human embryo is developed and destroyed just to harvest the stem cells. Stem cells can either be found in cord blood or embryonic but when these cells are harvested, it plays similar roles – that is – to cure diseases which many think are irreversible. Embryonic stem cell might be as effective as cord blood cell; It just attempts to give a right solution but its unethical procedures is unacceptable to humanity. It’s unnecessary to destroy a human life just to save another life, right? Previous PostThe Boy Who SurvivesNext PostCord Blood: To Donate or To Store? 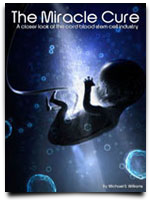 Pingback: Cord Blood: The Miracle Cure | Cordblood banking - Secrets of stem cell technology revealed!